ISLE of KLEZBOS, the soulful and swinging all-women’s klezmer sextet, released their second album with a special concert at JOE’S PUB at the Public on Sunday, April 6 2014 at 7:30 PM. The new disc, Live from Brooklyn — recorded in concert in 2013 at Brooklyn Center for the Performing Arts, with the addition of two bonus studio numbers — is available on iTunes, CD Baby, Bandcamp, Amazon, at shops (including NYC’s Museum of Jewish Heritage and Tenement Museum) and at all band shows. Formed in 1998, the group approaches their music with a canny mix of irreverence and respect. Live from Brooklyn features the group’s signature diverse blend of rambunctious folk dances, exciting Yiddish swing, entrancing retro tango, klezmerengue, re-grooved standards, and genre-defying originals. In addition to touring from Vienna to Vancouver, the group has been seen internationally on “CBS Sunday Morning,” CNN “WorldBeat,” and PBS “In The Life,” and the band’s recordings have also been heard on Showtime’s “The L Word,” WFMU Radio, Northeast Public Radio, and film soundtracks such as Grace Paley: Collected Shorts, Esther Broner: A Weave of Women, and I Guess I’m Never Going to Get to Vegas. Isle of Klezbos was commissioned to create a concert for artist Kiki Smith and special recordings for multi-platinum, Grammy Award-nominated Scissor Sisters. The band features alumnae of Julliard, Eastman and Manhattan School of Music, who have performed with headliners such as Beyoncé, Bruce Springsteen, Indigo Girls, Queen Latifah, and Natalie Merchant; roots-reggae superstars Maxi Priest and Burning Spear; experimental figures John Zorn and Butch Morris; as well as composers John Corigliano and Pulitzer Prize-winner David Del Tredici. Greetings from the Isle of Klezbos, the group’s debut CD, is also available from Rhythm Media Records. The ensemble — formed from the famed octet Metropolitan Klezmer, due to celebrate its own 20th anniversary later this year — has been honored by multiple awards from New York State Council on the Arts, OUTmusic, and Sparkplug Foundation. Performance highlights include Bumbershoot in Seattle, the Edison Theater in St. Louis, the jazz club Porgy & Bess in Vienna, Jewish Music Festival in Berkeley, Michigan Womyn’s Music Fest and the National Yiddish Book Center, in addition to New York shows at City Winery, 92YTribeca and the Museum at Eldridge Street. The bandmates have also performed in Sicular’s musical documentary theater piece J. Edgar Klezmer: Songs from My Grandmother’s FBI Files. 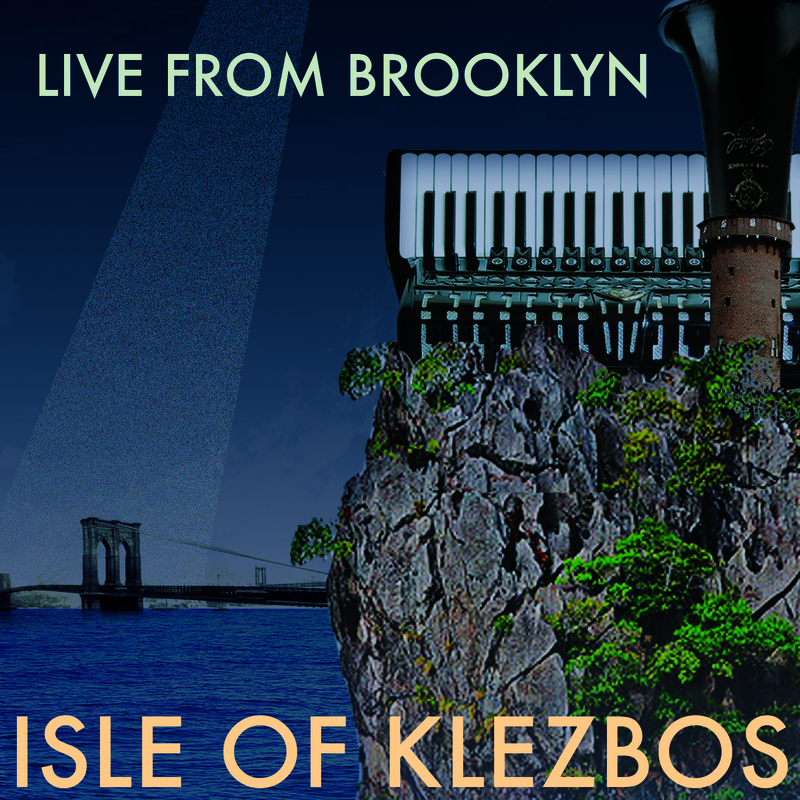 ISLE OF KLEZBOS will debut their new CD Live from Brooklyn at JOE’S PUB at The Public on Sunday, April 6 at 7:30 PM. The venue is located at 425 Lafayette Street (between East 4th and Astor Place) NYC, adjacent to The Public Theater. Tickets are $14, in addition to a $12 food minimum or a two drink minimum. Please call (212) 967-7555 or visit joespub.com, or visit in person at The Public Theater Box Office from 1pm to 6pm, Joe’s Pub from 6pm to 10pm (both located at 425 Lafayette Street). For table reservations, call (212) 539-8778. Links: About The Isle of Klezbos | Band member bios | full concert schedule | videos | songs.